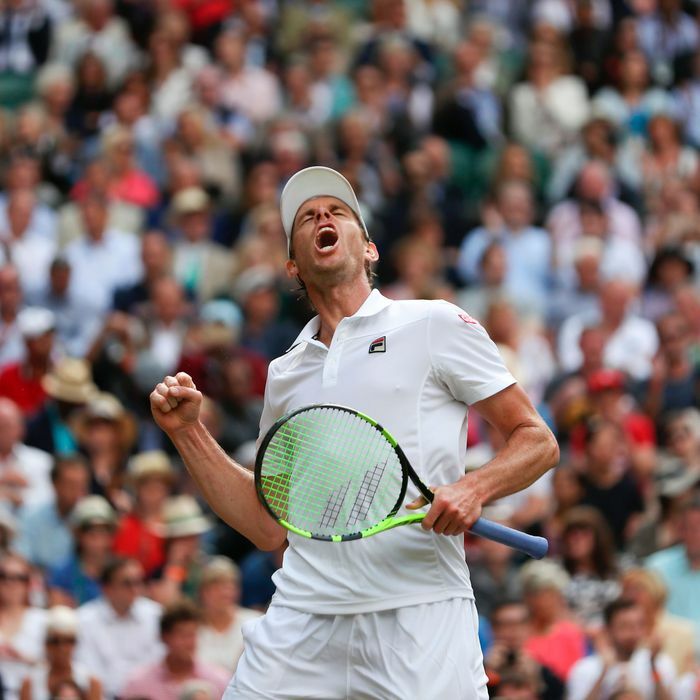 For the second straight year, Sam Querrey has knocked off the defending champion and top seed at Wimbledon. The 29-year-old American, whose now got people calling him “Giant Killer,” outlasted defending champion Andy Murray on Wednesday, winning in five sets and advancing to the first Grand Slam semifinal of his career. With the upset win, the 24th-seeded Querrey becomes the first American man to reach the semis of a major tournament since Andy Roddick in 2009. Roddick made it one round further that year, but couldn’t handle Roger Federer in the finals. Roddick’s 2003 win at the U.S. Open is still the last time an American man won a major title. Querrey’s win came over a hobbled Murray, whose sore left hip was clearly bothering him. He will be playing former U.S. Open champ Marian Cilic on Friday in the semifinals.